I cannot believe how fast the winter holidays are catching up to us. I always have good intentions of being ready with presents bought ahead of time but the only year I actually managed to do that was when my son was born on the day before Thanksgiving (I went through a flurry of nesting in the month prior, including buying all my Xmas gifts before his due date). I’m going to spend the next month sharing some of my favorite products that would make excellent gifts. This will mean more mini reviews and yes, I will be sharing a few gift guides based on products that I have tried and love, and that will hopefully help you pick a thoughtful gift for someone. Don’t miss my Holiday Beauty Gifts – Whole Body Care post for a start! So in my effort to get some good holiday content out there, here’s a review of a lovely limited edition holiday skincare product, the Jan Marini Holiday Exfoliator in Sugar Cookie. I received this product free for an honest review via Brandbacker. The texture of the Jan Marini Holiday Exfoliator is so fun! It looks and feels like fluffy caramel buttercream icing and it literally smells like freshly baked cookies. I’ve tried “cookie” scented products before that basically just smelled like fake vanilla, but the formulators at Jan Marini really hit it out of the park with this Sugar Cookie version. It really does smell like a lightly browned sugar cookie fresh out of the oven. Over the past year or so, I feel like I’ve seen a proliferation of exfoliating products that combine chemical and physical exfoliation in one. I kind of like this, as I like both kinds of exfoliation, but it’s important that the physical scrubby bits be SUPER gentle so as not to over-exfoliate. Luckily, many brands seem to realize this, and combine a very gentle chemical exfoliant with a very gentle physical scrub. The Jan Marini Holiday Exfoliator follows suit and is surprisingly gentle on both counts. The creamy base holds rounded exfoliating beads that feel soft and mild on the skin, and the cream has enough slip that it’s easy to massage around your face (you apply it onto wet skin, so that helps too). The exfoliating particles are designed to dissolve as you massage them. The Jan Marini Holiday Exfoliator includes glycolic acid (an AHA) and proteolytic enzymes (papaya and pineapple) to gently dissolve dead skin cells at the surface of the skin. It also contains very small exfoliating particles made with dimethicone (a silicone) that dissolve as you massage them over your skin. 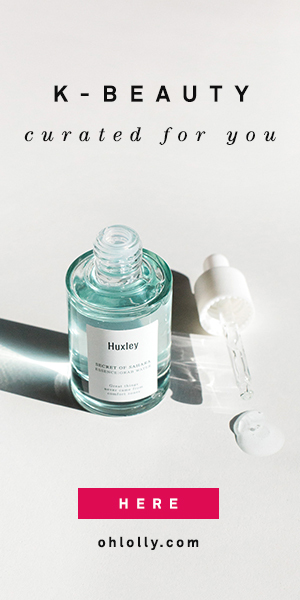 This product is paraben-free, but it does contain synthetic ingredients, so if you’re exclusively into green beauty, this may not be for you. Also, some people are sensitive to papain and other fruit enzymes, so be sure to patch test this scrub first before using it over your whole face. I find the Jan Marini Holiday exfoliator very gentle. It doesn’t sting or tingle at all for me (although Jan Marini does warn that this can happen and is normal). The first time I used it, I massaged it around my face for less than a minute and rinsed it off, and the only effect I noticed was smoother skin. But with subsequent uses, I realized that I could leave it on my face for a few minutes longer, like a mask, and then I noticed that it gave my skin a brighter and slightly pinker, more translucent tone that neutralized some of the sallowness my skin can have sometimes. If your skin is sensitive to physical exfoliation, you can spread this on, let the enzymes and acids do their work, and rinse it off without scrubbing at all. I think that this product is designed to be used on a regular basis rather than as an aggressive peel. The nice thing is, you can use this two to three times a week without running the risk of over-exfoliation. And the mildness of the product makes it perfect for someone who is new to exfoliating. I enjoyed the creamy consistency (and the yummy smell) and it left my skin feeling soft and moisturized and not irritated in the least. I would definitely keep this in mind as a gift for someone who is into skincare, but hasn’t quite made the leap into chemical exfoliation. The Jan Marini Holiday Exfoliator makes a really nice transition into stronger exfoliating products. I say, it’s always better to err on the side of being too gentle rather than too harsh. Do you prefer physical or chemical exfoliation? Do you like them combined in one product?